websites and digital strategies to help your business grow exponentially. Ink Web Solutions design and develop custom WordPress themes to meet your specific requirements. We guarantee uniqueness of your website because we know how important this is for your business. WordPress is one of the most popular content management systems on the internet. It is an open source tool that is commonly used for blogging and publishing content and is based on PHP and MySQL. The reasons for its widespread use are that WordPress is easy to use and comes with pre-designed templates that can be customized. This enables a website to be up and running in record time. Other useful features are the ability to tag posts, integrated link management, and plug-in architecture that include widgets and themes. Customized Domain Name: WordPress allows the user to customize his own domain name instead of having to use a sub-domain name. Ease of use: The software comes with an inbuilt dashboard and a host of predesigned templates, with themes, tools and widgets, making it extremely easy for toggling to create a page quickly. SEO friendly: WordPress is search engine friendly and designed so that every update to the blog is immediately pinged onto several search engines. There are also various plug-ins available that help to increase the blog's reach. At Ink Web Solutions, WordPress is one of the Open Source software programs that we specialize in. We can provide custom WordPress design and integration services tailored to suit specific business requirements. 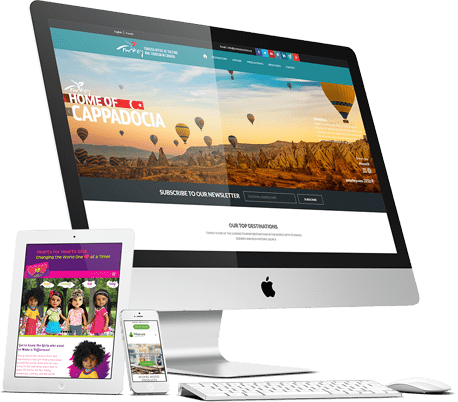 By integrating user friendly interface and search-aware blogs with your web sites,along with a host of WordPress customization services and theme design services, we can create a WordPress sitethat conforms to your branding requirements. One of the top features of WordPress is its usability. Due to its ease of use, this platform helps in easier website management of businesses of all sizes. The design is pretty simple and no coding is required which makes addition of pages, blog posts, new product, images and content editing easier than ever. WordPress is powering approximately 25% of world websites and this number is quickly growing each day. With this best Content Management System, it becomes really easy for businesses to grow online. Chandigarh's Leading Wordpress Web Development Company ! Ink Web Solutions provides Wordpress Web Development services in Chandigarh, Mohali, Himachal Pradesh and India. Chandigarh's Most Trusted WordPress Development Company. We’re a talented team of digital strategists, designers, developers, marketers, communications specialists, project managers and business developers passionate about what we do.